Pakistan’s Ambassador to the United States, Ambassador Jalil Abbas Jilani on Monday met with the US Special Representative for Afghanistan and Pakistan at the State Department Ambassador Richard Olson and handed over a dossier containing information on the gross human rights violations by the Indian security forces in the Indian Occupied Kashmir. 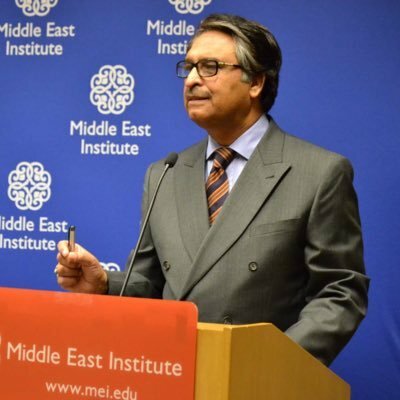 Ambassador Jilani emphasised that the international community, and especially the United States should take note of the inhuman and degrading treatment being meted out to the innocent Kashmiris, including women and children. He said the US being a permanent member of the United Nations Security Council, should impress upon India to immediately end the state-sponsored terrorism against innocent civilians who have been indiscriminately targeted by Indian forces. It was also emphasised that the right to self-determination was granted to the people of Kashmir by the United Nations which could not be unilaterally denied by India. Ambassador Jilani further underscored that the international community must ensure that India as a member of the United Nations, should allow access to international human rights and humanitarian organisations to assess the factual situation in the held valley. Recalling Prime Minister of Pakistan’s recent statement that Kashmiris and Pakistanis were inseparable, Ambassador Jilani reiterated that Pakistan would continue to extend all possible moral, political and diplomatic support to the people of Jammu & Kashmir for a realisation of their legally promised right to self-determination.